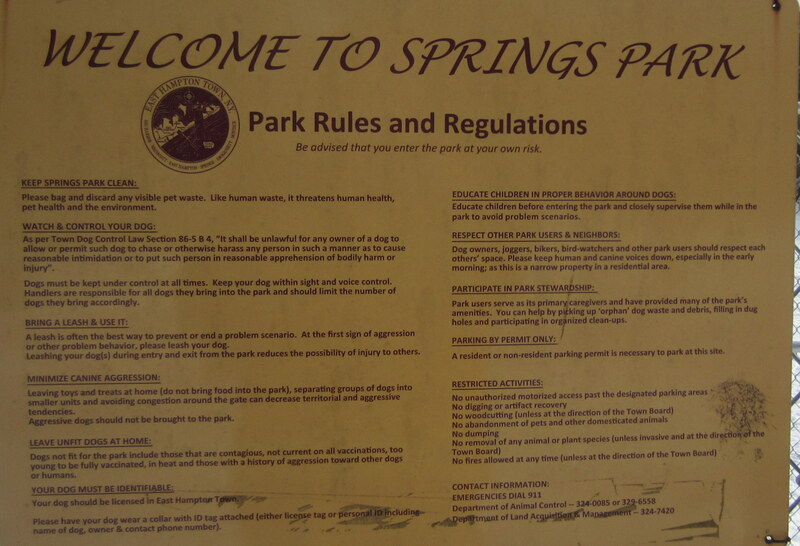 Springs Park Dog Run is on Three Mile Harbor Road and is on an unnamed road. 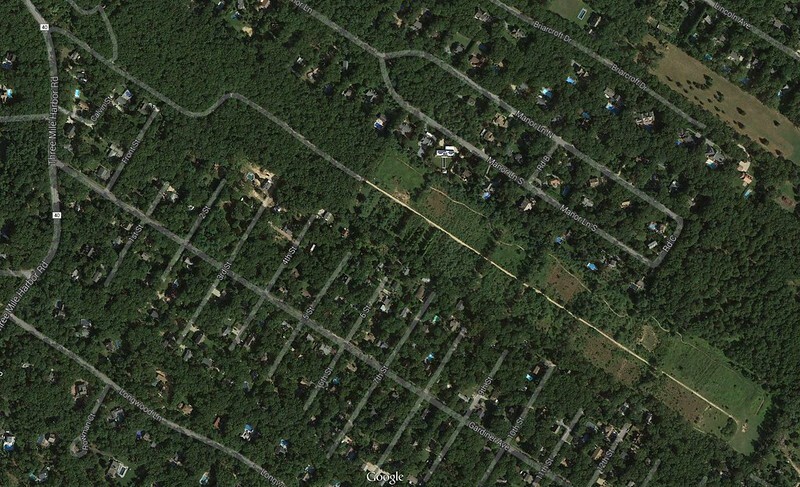 The turn off for Springs Dog Park is on Three Mile Harbor Road and is a little more than 4 miles north of the light at by the East Hampton Police/Fire Station at Three Mile Harbor Road and Cedar Street. It is just north of Gardiner Avenue on the east side of the road and Squaw Road on the left. If you go to Manor Lane on the north you have gone too far. There is a sign for the park on the east. You go down an unnamed to the parking area by the fenced in area. You turn right on a curve on Three Mile Harbor Road and go through a wooded area of the park before reaching the parking area immediately next to the dog park field field. The road is paved but has numerous speed bumps. The park rules are pretty standard dog park stuff — clean up after your pet, open only during daylight hours. One important rule is regarding the permit. In the summer season you need an East Hampton Town sticker (the same sticker used to park at town beaches).